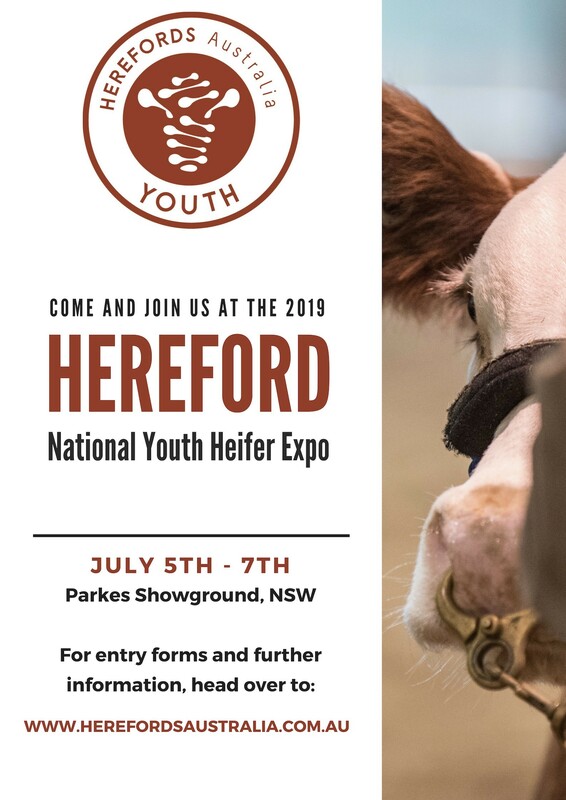 Entries are now open for the 2019 Herefords Australia National Youth Expo being held in Parkes NSW from 5th – 7th July. With many new and exciting initiatives and a schedule jam packed with fun, this is an event that you will not want to miss. Click here to access the online entry form. In a new initiative added in 2019 to the National Hereford Youth Expo, Herefords Australia Youth will provide financial support for a participating Herefords Australia Youth member seeking an educational travel experience (destination of their choice) to further develop their knowledge and understanding of the breed on a greater scale. The successful applicant will receive up to $5,000 to embark on their nominated educational trip. Entries close 1st June 2019.